However, we’re back on track this week. So, with that in mind, here’s what’s new for this coming week. We are ready to release Dark Traveler at last. Our cover artist wasn’t able to meet the deadline, but our magical editor has managed to create a cover for the book. I think she’s done a fine job. So, here’s the cover. Sometimes the thing you fear most is the one thing you truly need. Dale, a young thief on the run is surely in need. This is an adventure story set in a medieval world. Dale is a transgender teen trying to survive on his own. Look for Dark Traveler to appear in the next few days. I will post again when it goes live. I have to confess I haven’t written a thousand words in two weeks. Sigh. Life sure can get in the way sometimes. So, here we go again. I am going to shoot at four thousand words this coming week. 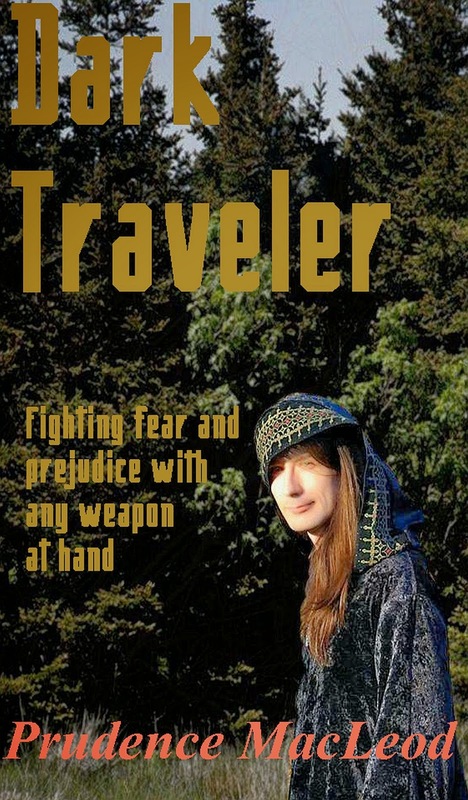 I also want to get Dark Traveler up in time for the Transgender Day of Remembrance. Well, that’s it for me this time. I will post again as soon as Dark Traveler goes live.